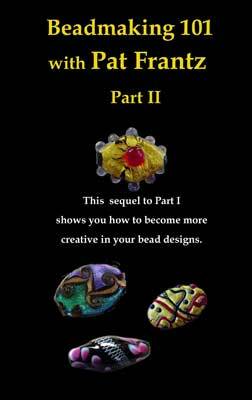 Continue on your path to making fabulous flameworked beads. In this video Pat Frantz will show you how! You'll observe the creation of a tiger striped tabular, a black rosebud bead in the true Venetian style, a psychedelic twistie bead, and more. See how to apply patterned dichroic over your bead core. and observe a bicone with ivory color interactions.